You are viewing Rebecca O'Neil's post archive. 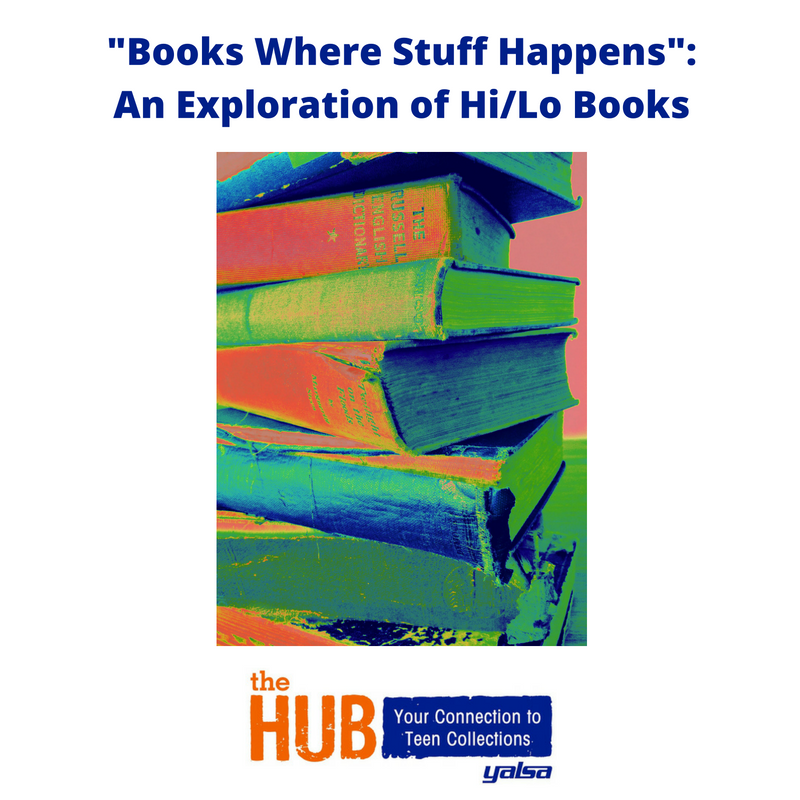 “Books where stuff happens…but easy to read. Not a book for kids.” This is a common readers’ advisory question for reluctant or struggling teen readers (and their adults). Such readers often feel keenly the gap between the books they are able to read, and the topics they *want* to read. Must they read from the children’s section, with its juvenile topics and the same titles they would have picked in grade school? Not at all. This is a gap that hi/lo books aim to fill. It’s the time of year when many schools and groups focus on careers and career readiness. 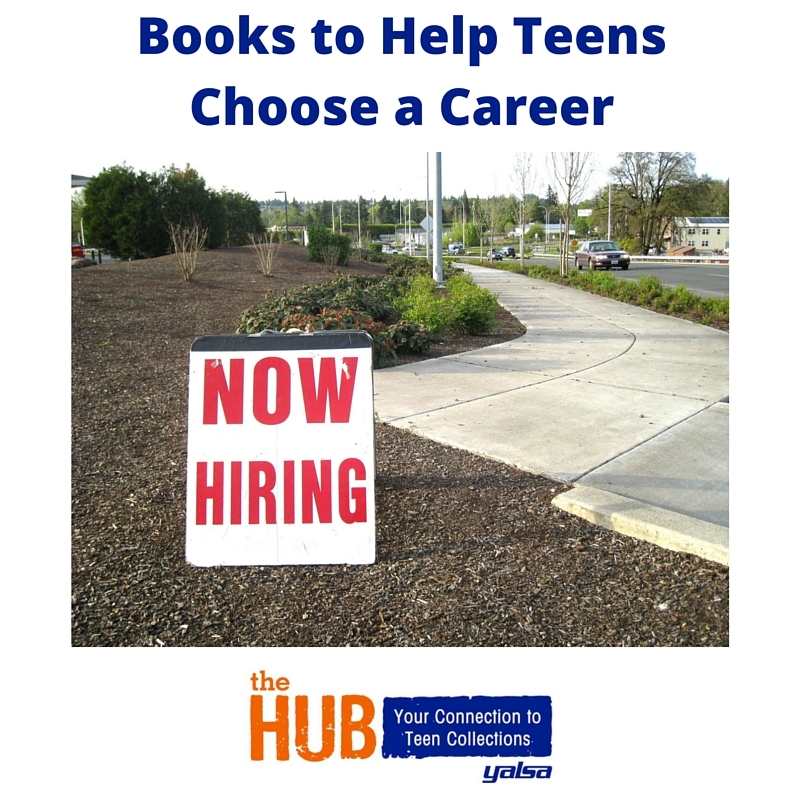 I don’t know about you, but I always felt dismay when asked, “What do you want to be when you grow up?” or “What do you want to do for a job?” I think many teens feel the same pressure to choose, perhaps long before fully knowing themselves and their options. Here are some titles for considering the possibilities. It’s been a very science-y week so far! The Hub kicked off Monday with funny science books for teens, and yesterday was the delicious Pi Day (not to mention Einstein’s birthday). 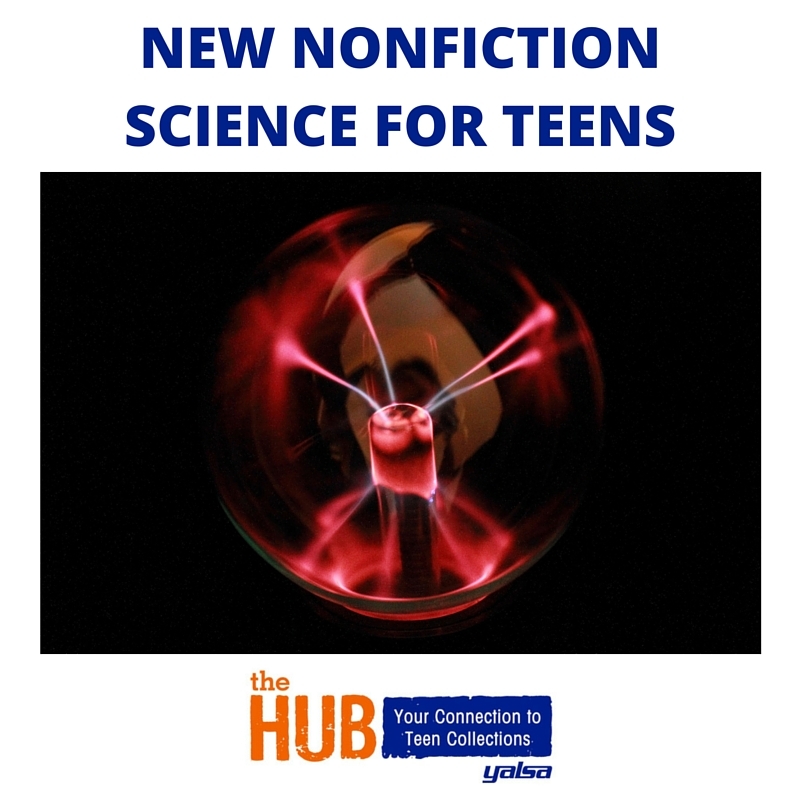 Today I’ve got a sampling of some new nonfiction science books available for teen readers. For information on STEAM vs. STEM programming, check out this post on the YALSAblog, or for more inspiration on science programming, check out Anyone Can Do Science! which has lots of fun ways to incorporate science into your regular programming schedule. Put on your lab coats and take a look — and don’t miss a PDF of this list at the end. Discusses the impact of seeds on food supply, and their importance in everything from biodiversity to the global economy. Don’t get me wrong — color-themed book displays? I love them. They’re eye-catching, easy to make, and easy to refill. But the most successful super-simple display we’ve had outside of those? Book #1 of the series. Today’s post is written by teen Jayla Johnson. In her own words: Jayla is an avid reader, and her favorite type of books involve anything with fantasy, dystopias or science fiction. Jayla loves writing nonfiction, giving out recommendations and talking about books; she is really excited to be a guest writer on The Hub, especially since it combines all of these things. She will be attending Denison University this fall, majoring in biology and minoring in literature studies. Thank you, Jayla, for sharing your thoughts with us! -Rebecca O’Neil, currently reading The Marvels, by Brian Selznick. 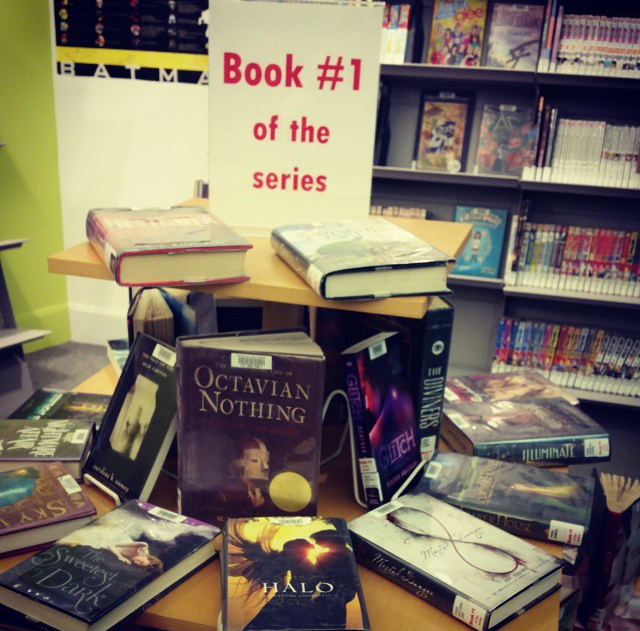 As a long time reader, I’ve always felt that in order to truly appreciate books you have to explore and read all types of them: children’s, young adult, and the adult genre all hold gems that deserve to be discovered and treasured. 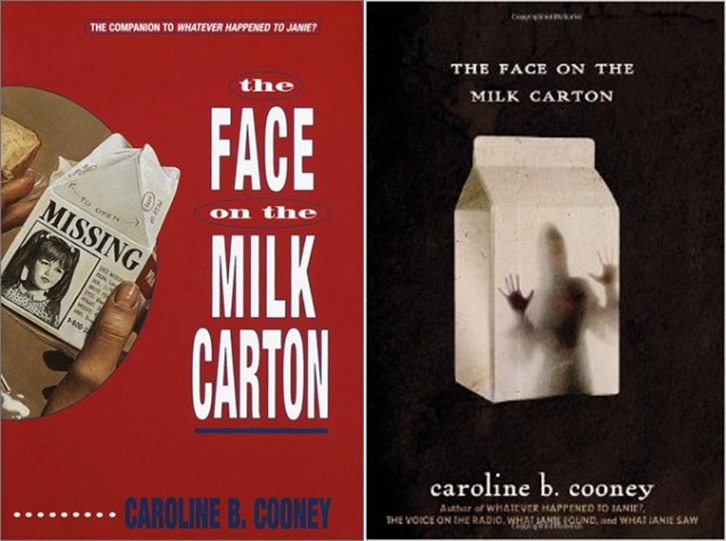 I only read kid- and teen-related books up until I was around fourteen or fifteen; the idea of taking a plunge in the adult fiction section before that was too scary to even imagine. Even when my interest in adult books finally peaked, I was still slightly at loss as to what books to try, and wondered how different they could be. It wasn’t until I read Neverwhere by Neil Gaiman (2008 Popular Paperbacks for Young Adults) that I realized, perhaps quite obviously, adult fiction could posses just as interesting and page-turning stories as teen books. And, suddenly, my entire world of book reading possibilities expanded tremendously. 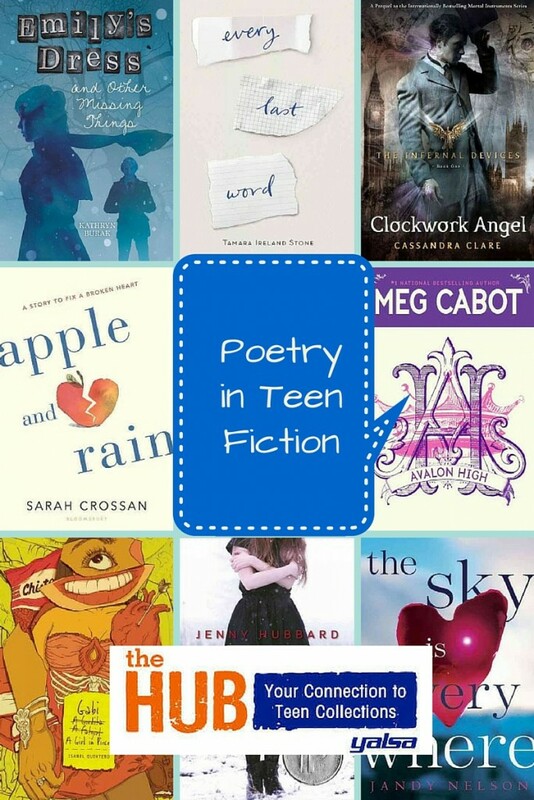 For teens who have not yet ventured to reading non-YA books, or reading them for fun and not for school, it’s easy to get stuck in the thought that adult books are only composed of either dusty, boring classics or lengthy, seemingly unobtainable novels (I’m looking at you War and Peace). Fortunately, that’s far from the truth. 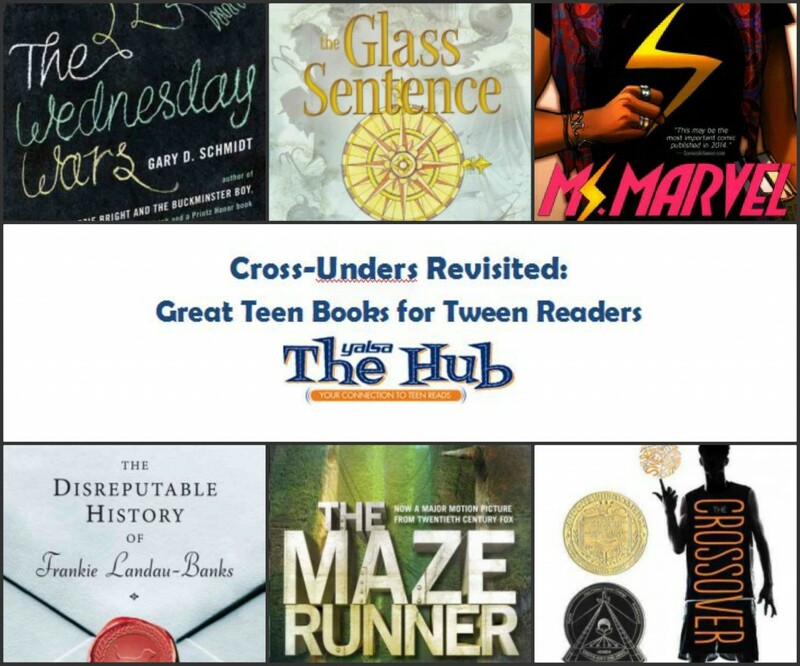 There are countless books geared to adults that can generate just as much, if not sometimes more, interest in a teen reader. Whether you have already read several books from the adult genre or are searching for your first to try, check out the list below of seven books that offer exciting and mature plots, intricate characters and absorbing settings. 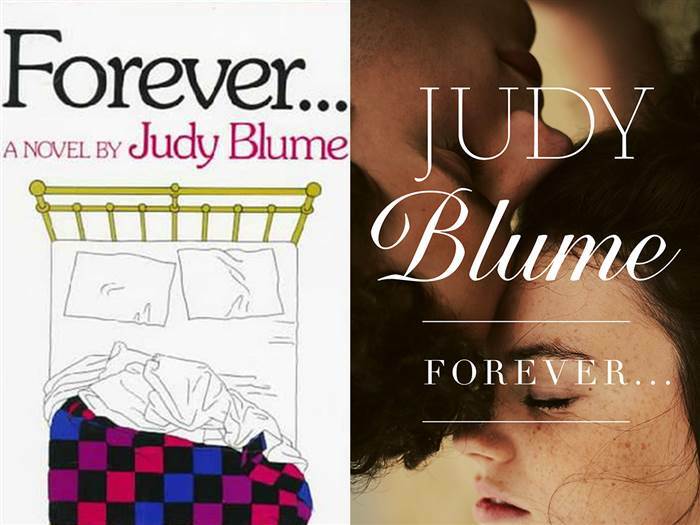 Ranging from romance to fantasy to poetry, these books, while marketed towards adults, offer plenty of appeal to teenagers. It is the year 2027 and all diseases have been eradicated thanks to a genetically modified parasite created by SymboGen Cooperation. Once the tapeworm is inserted into the human being, that person begins a life guarded from illness. Behind the success of SymboGen, however, lies deep secrets that the company is hiding. Secrets that may come to light as, all around, the very parasites put in to protect people are now the ones taking over their lives. With zombie and dystopian stories more popular than ever, and especially beloved by teenagers, Grant’s Parasite is a great addition. What would you do for love? Professor Don Tillman is an awkward, and incredibly smart genetics professor who decides to create a scientific formula to find his perfect wife. Despite being brilliant, he is clueless when it comes to love and is mostly socially disliked by both his peers and the general public. During his hunt for a wife, proclaiming it as “the Wife Project”, Tillman sets to stick to his strict rules that together form his ideal picture of a wife, yet realizes along the way that, a lot of times, the best people come unexpectedly. Similar to a lot of teen romance books, The Rosie Project features an unlikely couple falling in love, and the trials and trumps of discovering that perfect person the character was destined to be with. Among the fictional land of Avryn, Hadrian Blackwater and Royce Melborn make their living working for the various nobles and aristocrats. Hadrian, an adept mercenary, and Royce, an expert thief, are hired for a seemingly normal job until they suddenly find themselves charged with regicide and arrested. Now, on the run from authorities and angry over whoever framed them, Hadrian and Royce set out to seek revenge. What starts as a straightforward mission ultimately leads the two partners in crime to ancient conspiracies and on a quest that could alter their whole world. While this book has its plenty share of elves, goblins, and exciting sword-fighting scenes, the witty banter and faithful friendship between Hadrian and Royce are what sets this fantasy book apart from others. Perhaps you might recognize her name from her infamous TED talk or spoken poetry performances. If not, Kay’s debut fills in for the moments and locations where it’s not possible to be consumed live. She writes about love, family, traveling, history, friends and dozens of other topics in this debut. Each poem various in length, but they all pack an emotional punch, equally raw and honest.